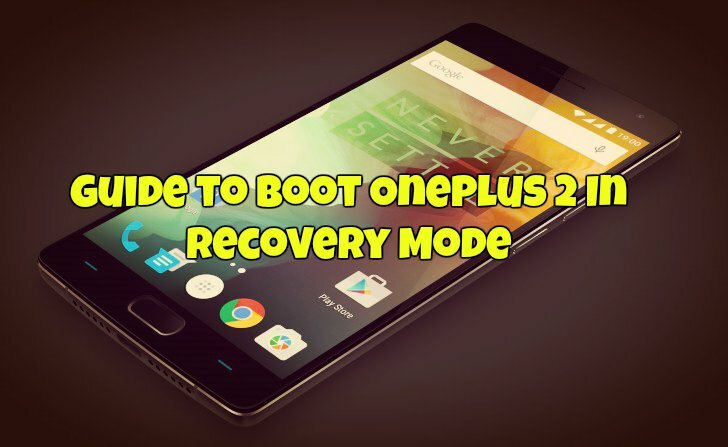 Here today in this guide we’ll show you how to boot the Oneplus 2 Android Smartphone into Recovery Mode. In Recovery Mode, you can do lots of tasks on your phone such as do a factory reset, Wipe Cache, Wipe Data etc. Every Android phone has this option and one of the most useful feature on the android phone. There are two methods which you can use on your OnePlus two boot in recovery. One with the Hardware buttons and second is with the ADB and Fast boot commands. Both the methods are so simple and take a few second to implement on your phone. To do this Switch off your OnePlus 2 and then just hold Volume up button, and then press the power button once, and you shall see the stock recovery on your Android Phone. Once the ADB files are setup in your windows PC, Open the ADB folder on your PC and Open a command window on the ADB folder. After this you need to enable the USB debugging mode on your phone, To Do this go to Settings > About phone, and then tap ‘Build number’ 7 times or until you get the message ‘You’re now a developer!’. Now In the Settings you will see the Developer Options, From here enable ‘USB debugging’ option and Accept warning by tapping on the OK button. After this, your phone will reboot automatically in recovery mode, and you will see the Recovery screen on your OnePlus 2. Do you know if it possible to flash the OxygenOS from Oneplus website, onto the Oneplus 2? 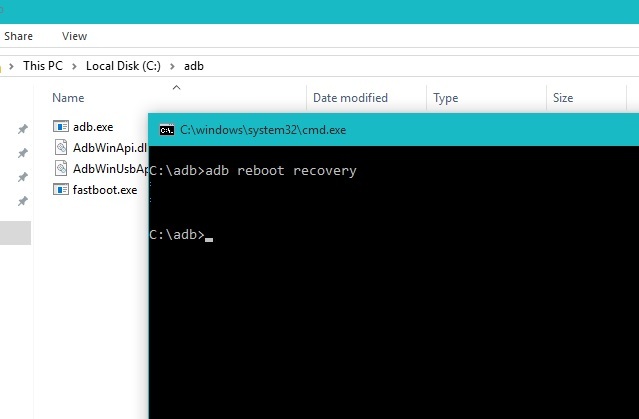 I can reboot into recovery via adb. But I need to boot into recovery directly after flashing TWRP. If I boot the system partition first (to get to something that runs adbd) the recovery is restored to the factory recovery. Unfortunately I am unable to use volume-up and power on to boot into recovery on the Oneplus 2. Is there another way? Does this way depend on the position of the mute switch? Nevermind. Volume-Down Power works to boot the Oneplus 2 into recovery mode.